Sydney Yachts is very keen to develop yachts with an international appeal. At the 2009 Voiles of St Tropez Regatta in France we had a look at the Ker53 and having the designer on board was a great opportunity to discuss their design techniques and to get a firsthand look into how methodically they go about designing and fine tuning IRC boats. This collaboration has resulted in the release of the new Sydney GTS range. Fast, offshore yachts with a refined double spreader rig with non-overlapping headsails ensures it is responsive, easy to handle and a pleasure to sail. "Most importantly the GTS range will be built for southern ocean conditions, as has always been the history with Sydney Yachts, explained Darren Williams. The AD Boats was founded in 2002 as an independent working unit in collaboration with the AD Plastik company, leading manufacturer in car spares in this part of Europe. Within one year AD Boats started to operate independently tying in with the almost two thousand year long tradition in shipbuilding in the Split area. Prevent Group linked into the know-how from AD Boats in 2007 and expanded it to include Prevent Group’s expertise in handling and processing composites – with great success: the very first sailing yacht developed, the Salona 37, was chosen as yacht of the year in the USA and Europe. 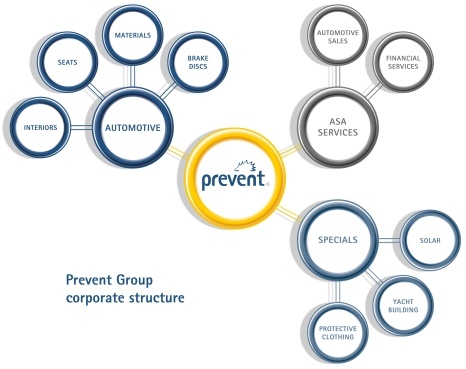 Prevent group was founded in 1952 as a manufacturer of working garment and protective clothing. Today Prevent Group is based in Wolfsburg, Germany, and employs more than 10,000 people at 35 locations around the world. One of the most famous Sydney Yachts must be the Sydney41. Within 3 days of launching "Raptor" was heading south competing for the winning place in the 50th Sydney to Hobart Yacht Race. "Raptor" was announced Overall Winner of this Anniversary Race. Today, we see the Sydney 41 still competitively racing in all parts of the world. Shortly after, the Sydney36 was launched. Today we see the Sydney36 CR as the "M3 of the Water", fast with sport styling. Then there is the Sydney 38. This is probably the most successful Australian One Design ever produced followed by the Sydney 32 OD. Alongside of these two impressive One Design racers comes the Sydney 39CR and Sydney 47CR, which are set to be the benchmark in Performance Cruising Yachts across the globe. Our beautifully built and expertly crafted yachts have won numerous world and National Titles and in return we have a reputation for producing world class yachts. Today, Sydney Yachts use advanced technology to build cost effective grand prix and custom sailboats. Strong light construction and attention to detail are the secret to race winning and competitive boats. On the racecourse, quality is outstanding and wins in the long run. Sydney Yachts have compiled an incredibly outstanding array of class, overall and line honours wins.